Be at least 90% different than the original source material; it should differ in sentence structure, word choice, and voice. 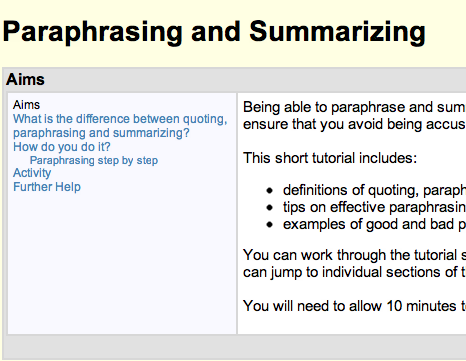 Moving words around or substituting synonyms does not qualify as paraphrasing. Be faithful to the original source's intended meaning. A paraphrase neither alters the meaning of the original in any way, nor take the information out of its original context. Give credit to the original author(s) through parenthetical or intext citation. Failure to meet these criteria could result in plagiarism. 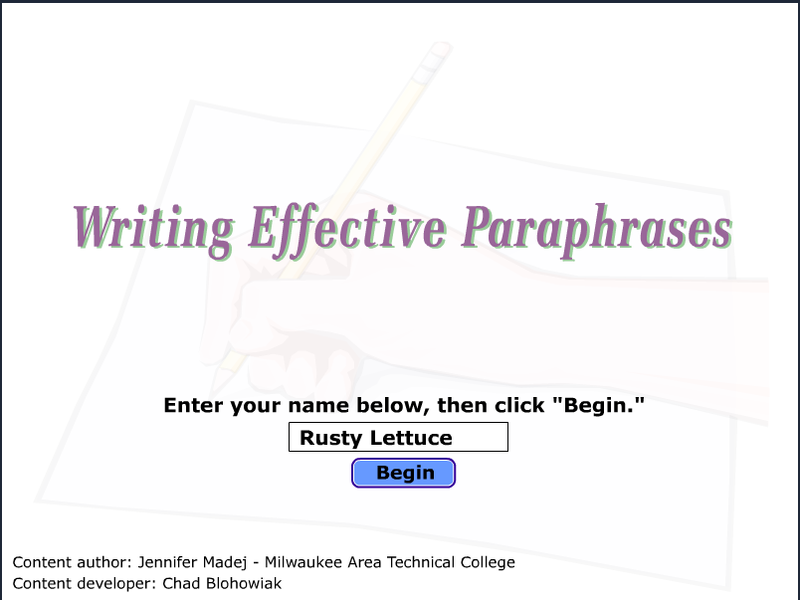 By completing the following tutorials, you will be able to distinguish between effective and ineffective paraphrases. Click to access tutorial, courtesy of Milwaukee Area Technical College via Wisc-Online. Click to access tutorial, courtesy of Cardiff University in U.K.